Tal Burstein has signed a three-year contract with Maccabi Electra Tel Aviv. 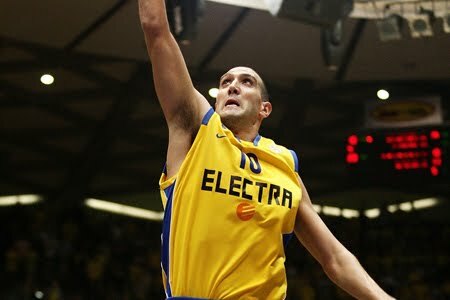 Maccabi Electra Tel Aviv is delighted to announce that they have signed Tal Burstein to a contract for the next three years. Burstein played for Maccabi for nine seasons before moving to Fuenlabrada in Spain last season. The talented guard began his career with Bnei Herzliya in 1997 – 1998 and was named Discovery of the Year. He came to Maccabi Tel Aviv for the 2000 – 2001 season, and played for the club for nine seasons, during which he won 8 local championships, 6 Israeli Cups and 3 European cups.Last season, the guard played for Spain’s Fuenlabrada, posting averages of 9.3 points, 2.4 rebounds, and 1.4 assists. Today, Burstein is also the captain of the Israeli National Team and will take part in the preliminary rounds of the European championship this summer.